Our ECHO high school yearbook team has been hard at work all year creating a yearbook full of priceless memories. This is the last week for you to get your order in. 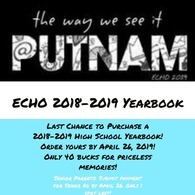 All orders are due by Friday, April 26, 2019. Make checks payable to PCR-I for $40.00. Parents of the Class of 2019, only one advertising spot is left for a senior ad. Be sure and contact an ECHO staff member or Mrs. Fleshman to secure your spot by April, 26, 2019. 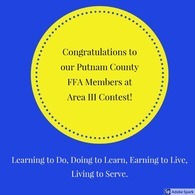 On March 13, 2019, several Putnam County FFA members competed in Area III FFA contests in Macon, Missouri. FFA contests are designed to test member’s skills in leadership, FFA knowledge, and public speaking. The Area III FFA Association is comprised of 24 schools. This year’s results are: FFA Knowledge Team: Team members are Vanessa B, Grace S, Karlie I, and Erinn D. The team placed 5th at the area out of 17 teams and advanced to the district contest. At district contest in Monroe City in March, the team placed 14th out of 21 teams. FFA Creed Speaking: The Creed speaker for Putnam County was Vanessa B. She received 5th place at the Area FFA contest. She recited the FFA Creed from memory and answered questions from the judges about the creed. Advanced . . . Thanks to the Northeast Missouri State Teacher's Association, Mr. Watt's high school science room will be the new home for a Fla sh Forge 3D Printer Creator Pro this fall. Grant applications were due in February, with one application being accepted from each Northeast Missouri School. 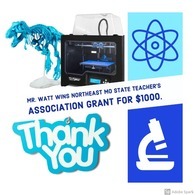 Mr. Watt applied for the $1,000 grant with the goal to obtain a 3D printer. Making use of the printer will allow students to experience abstract concepts in an interactive and hands-on way. Textbook models of molecules and fine anatomy can be brought to life through the use of the 3D printer. The use of a 3D printer also presents the unique opportunity to immerse students in a curriculum that demonstrates the applications of technology and engineering in the classroom. Students can now be taught about the use and . . .
Good morning, this past fall the Putnam County R-I Board of Education engaged our school district in a strategic planning process. During that process, one item that became clear is that there is some concern regarding our school breakfast program. Sarah Bradshaw, food service director, and I need your help. 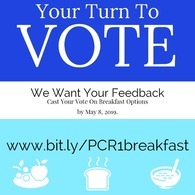 Please read and take time to complete the survey to help us guide our breakfast program into the future. The survey link will be available until May 8th. Breakfast is critical to learning and health, so it’s important that children do not start the school day hungry. Children who eat a nutritious breakfast have improved classroom performance, better test scores and grades, increased ability to concentrate and focus, as well as decreased disciplinary issues, tardiness, and visits to the nurse. . . .
Area III FFA Officer interviews were held March 4, 2019, at the La Plata School. These interviews are held each March to select the new Area officers for the upcoming year. There are 10 officers selected to fill these positions from the 24 area schools. Interviewing for the Putnam County FFA Chapter was junior Tony B. The selection process has 3 parts: an interview, an FFA Knowledge quiz, and scoring of each students FFA leadership page. All candidates are interviewed one time in front of area delegates and advisors. Following the first round of interviews, the delegates vote to help select the final ten who will get officer positions. After ranking of all the students based on their knowledge, leadership and interviews scores, the top ten are selected to be area officers. Those students then complete the second . 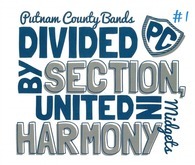 . .
Parents of students participating in athletics at Putnam County R-I schools for the 2019-2020 school year: mark your calendars now for May 20 - June 14, 2019. Putnam County Memorial Hospital Rural Health Clinic is providing FREE sports physicals for students from May 20-June 14, 2019. Students must bring necessary forms with them and a parent/guardian must be present. Pre-Participation Physical Forms Call today to schedule your student's appointment! 660-947-7373 Must have an appointment and paperwork. Pre-Participation Physical Documentation Thank you to PC Memorial Hospital Rural Health Clinic for taking care of our student-athletes! We appreciate you! Do you ever feel like you're competing against a screen for your child's attention? Ever wonder what the effect of so much screen time has on your child? The Northeast Missouri Health Council in collaboration with Dr. Jennifer Blacksmith, Ph.D. are hosting a free screening of SCREENAGERS , a documentary about growing up in the digital age. The movie will be shown on Thursday, May 16, 2019, at 5:30 pm, at Truman State University's Baldwin Hall, Room 102. A panel of professionals will be available to answer questions about adolescent electronic use from 6:30-7:30 pm. To view the full press release, feel free to visit the link below or read the text that follows. 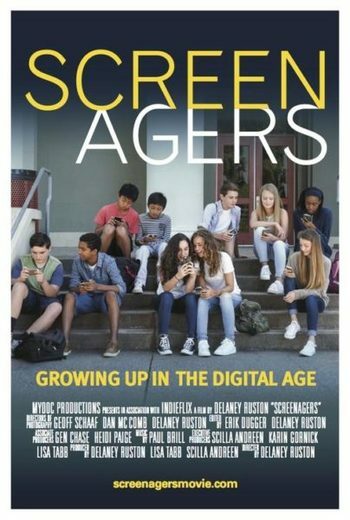 https://www.screenagersmovie.com/press-release SCREENAGERS: Growing up in the Digital Age, has . 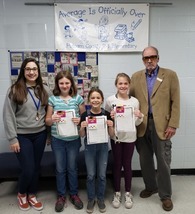 . .
Putnam County R-I fourth and fifth-grade students were given the opportunity to write a short response to the question, "If you could be Mayor for a day, what would you do for your city?" The responses from students range from recycling, picking up trash, refurbishing our city historic square, helping those in need in our county, assuring clean water for all to drink, and lastly, the school and city working together. Each student received a gift card to Dollar General for their responses. Thank you to our students and educators for helping celebrate local government week April 14-20, 2019.